A fine specimen located near the old Brook Haven homestead, now part of Awhitu Regional Park. 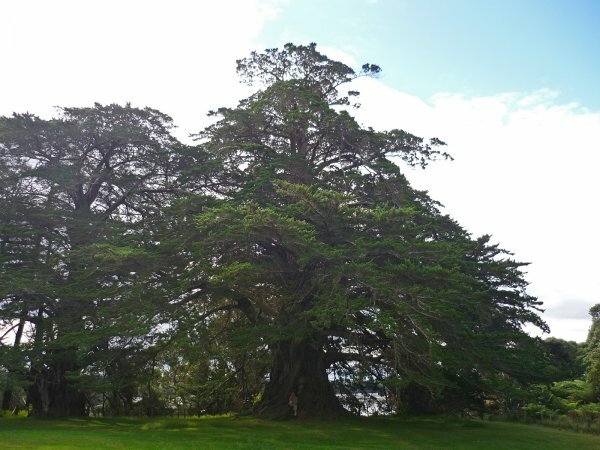 The tree has been referred to as the largest macrocarpa in New Zealand, and it may be the largest single stemmed tree in the world, as it is larger than TR/0763. 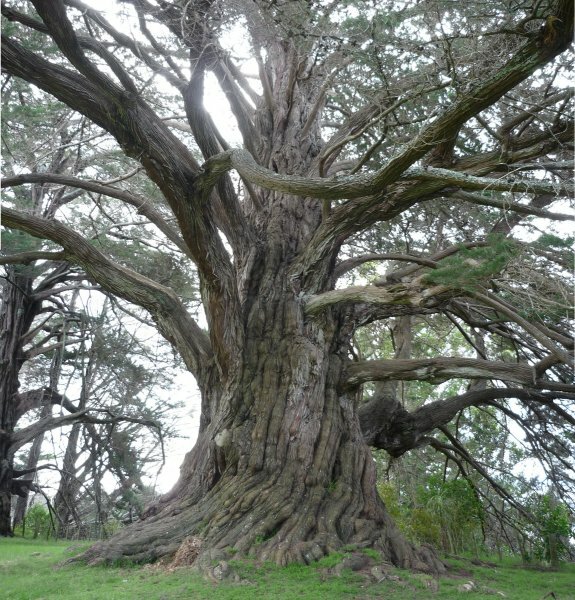 The tree is located at the edge of a paddock close to the old homestead, approximately 60 metres from the harbour's edge. The homestead was built in 1878 by John and Sarah Brook, and it is likely the tree dates from around this time. The land was sold to the Auckland Regional Council in 1971, and Awhitu Regional Park was subsequently opened in 1975. Appears to be in fine health (April 2012). 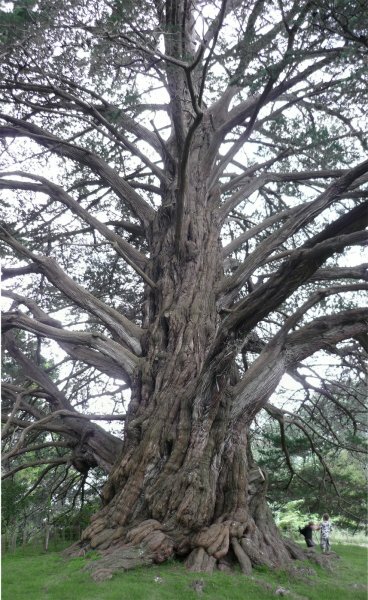 The tree has retained a classical, but stout, conifer form unlike most large Macrocarpa. The first branch comes out 2 m up the trunk. The crown is slightly suppressed on one side by a neighbouring tree. 09 Apr 2012 Smillie, M.J. Approximately 1.5 hours drive from Auckland. The tree is approximately 15 minutes walk (via a beach walk or a wetlands trail) from the Park carpark to the old homestead. The tree is marked on maps at the park, and is easily accessible.